Added by thronn on December 29, 2014. 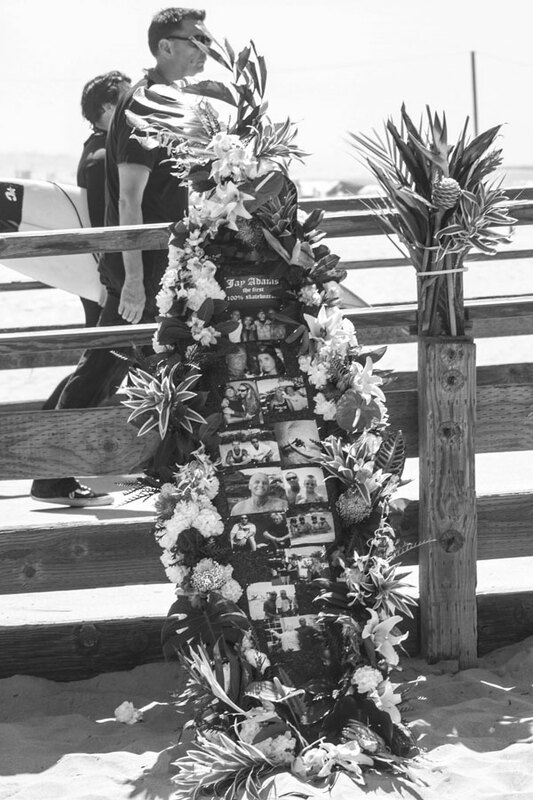 August 2014 was the most devastating month in the Skateboard World. We lost two great pioneers of our culture. 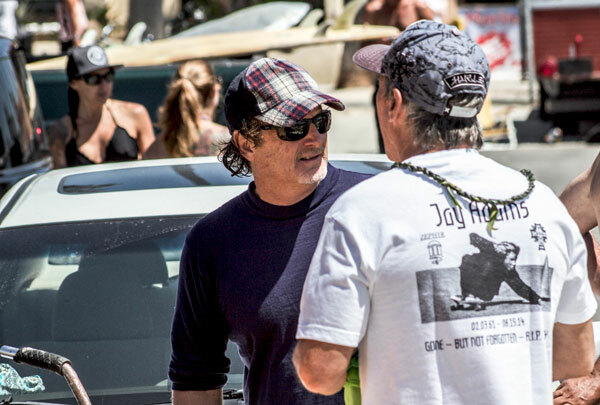 Shogo Kubo died a few behind by a massive heart attack while doing Paddle in Hawaii and not even a month ago and lost by a terrible coincidence Jay Adams days, heart attack too. 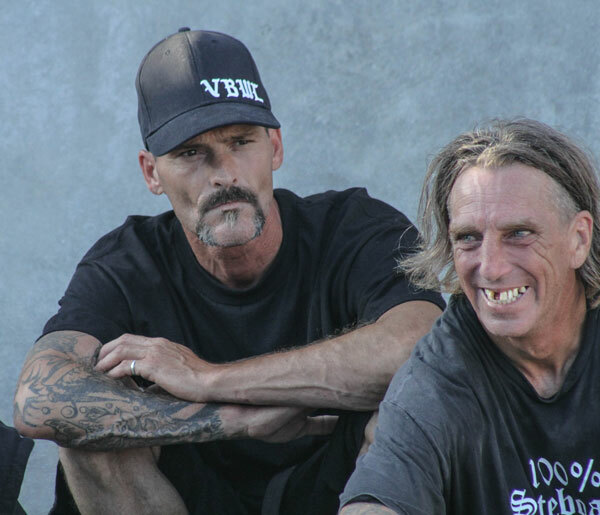 The two were the pioneers of California‘s streets and pools giving rise to series for vertical skateboarding. Every type of mode transition that has as its main activity you can be sure that one day the boys skate USA‘s West side as Jay Adams, Tony Alva, Stacy Peralta, and Shogo Kubo took the first steps. My relationship with Jay Adams was very nice because every time I was fortunate to find it rolled higher energy. Whenever he saw me he came to greet me and ask how was life, always a good chat. I think he realized that was a street agent and this formed a union. He told me he had a great desire to go to Brazil to know the clues. Sometimes commented as Pedro Barros was swift in the bowl. 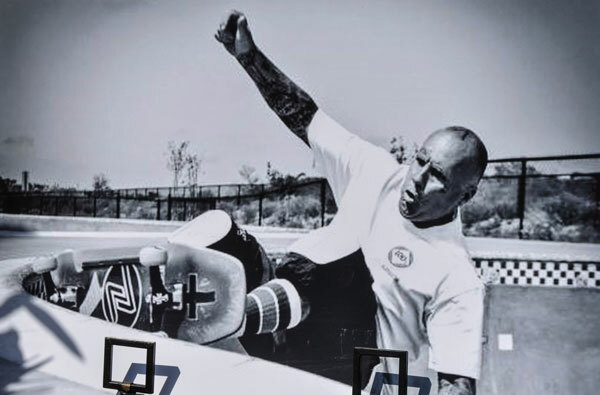 Jay Adams is remarkable and important of the few people that anyone can fit it in this aspect of celebrity because simplicity, attention to the next, the boy brought spirit and humility makes agent can not put it as a super star, would to an offense. 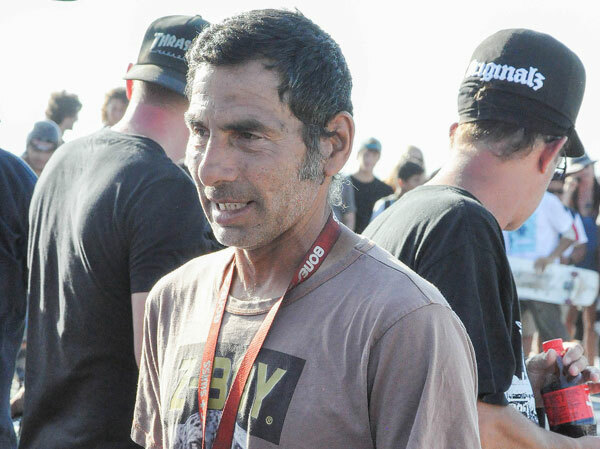 He was much more than a famous skateboarder, he was actually a god of skateboarding that went in our time. One day I found him in the Protec Pool Party in Orange County and he was with 4 hot dogs in his hands and ran underneath a grandstand and put and voted and picked up a few more 3 and ate everything as a child thinking it was free so let’s enjoy ehehehehheehehehhehehe I laughed a lot because this behavior was kid taken directly from the streets. That day I remember him running with sandwiches in hand. 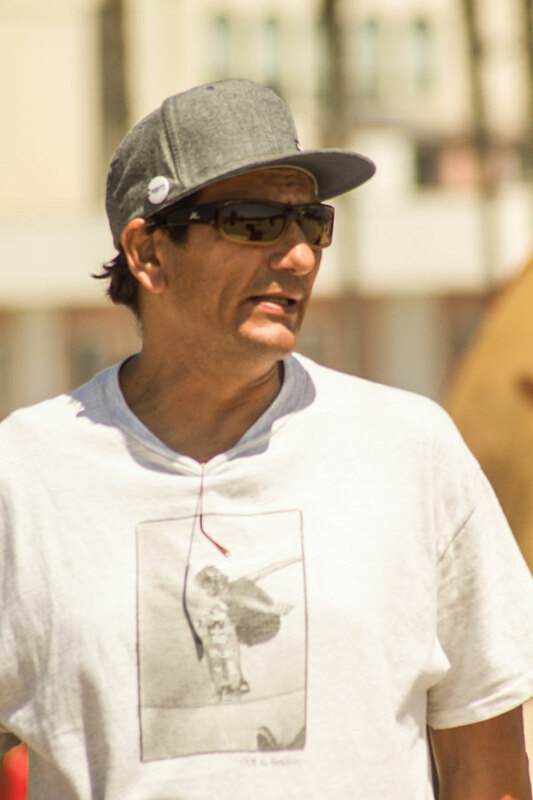 I’ll keep good memories of my friend who was so unexpectedly, a master skateboarding, a great guy, a person of principles and values ​​in skateboard, friendship and respect. 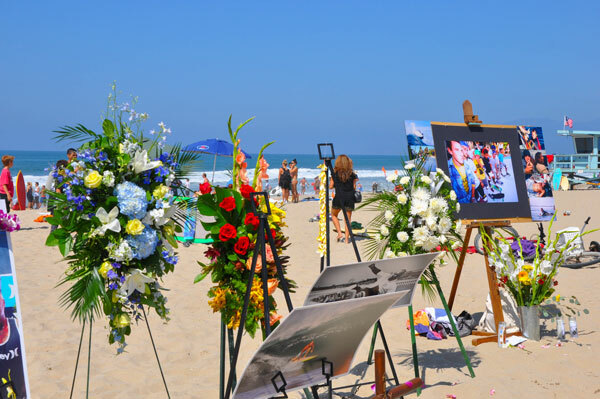 This past August Heartbreak was an exciting tribute to our great master, teacher, visionary Jay Adams. 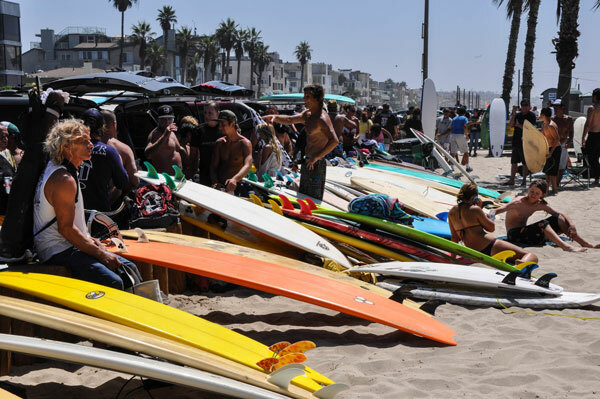 Gathered at the Venice Pier over 200 people with surfboards and skateboards coming from parts of California. This crowd-reunui next to the pier. 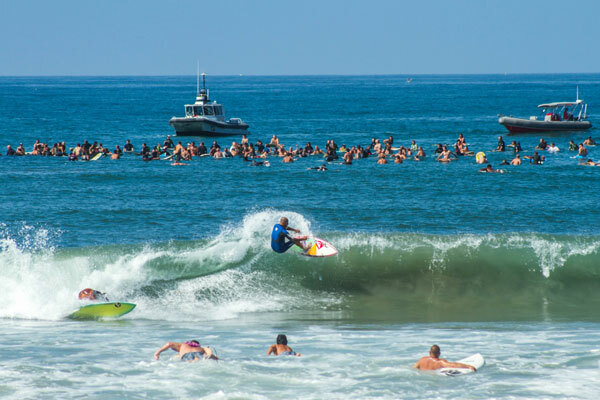 Jay Adams loved surfing since childhood and on March surfers made ​​prayers to Jay boy and recalled the importance it pro surf and skate world. 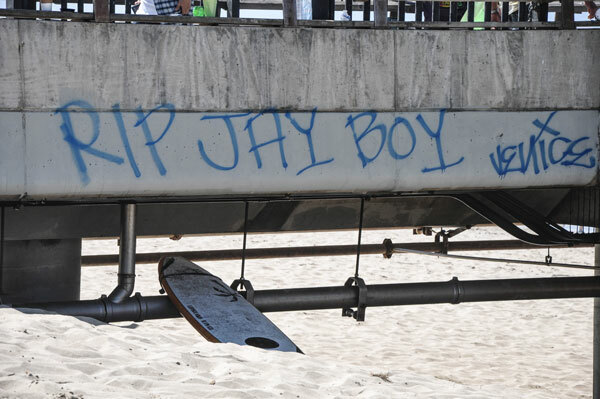 People of different religions left a message, and his honor at several locations in Venice Beach. 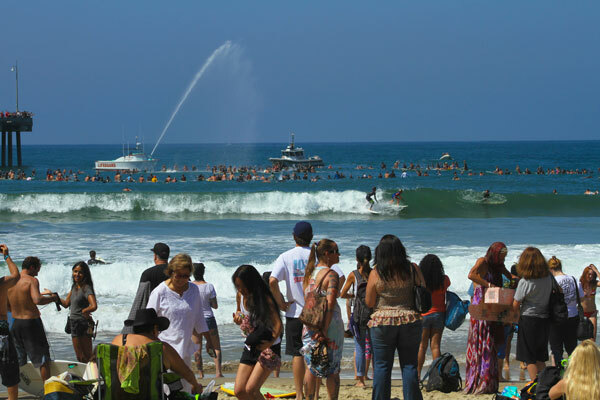 The Coast Guard also came to greet Los Angeles this tribute with their boats who were playing in water jets surfer sitting on planks forming a huge circle. 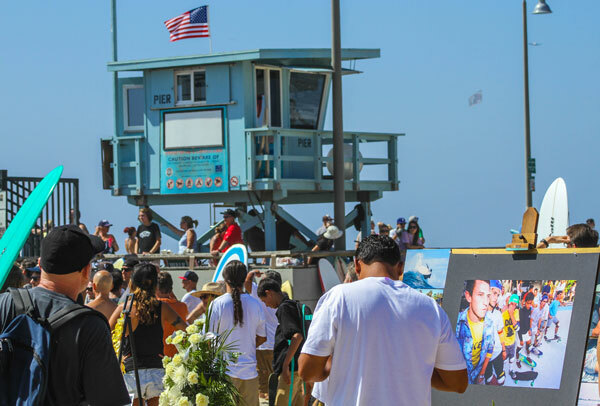 The area where is located the Venice Beach Pier was taken by a crowd of friends and supporters of skateboarding and surfing. 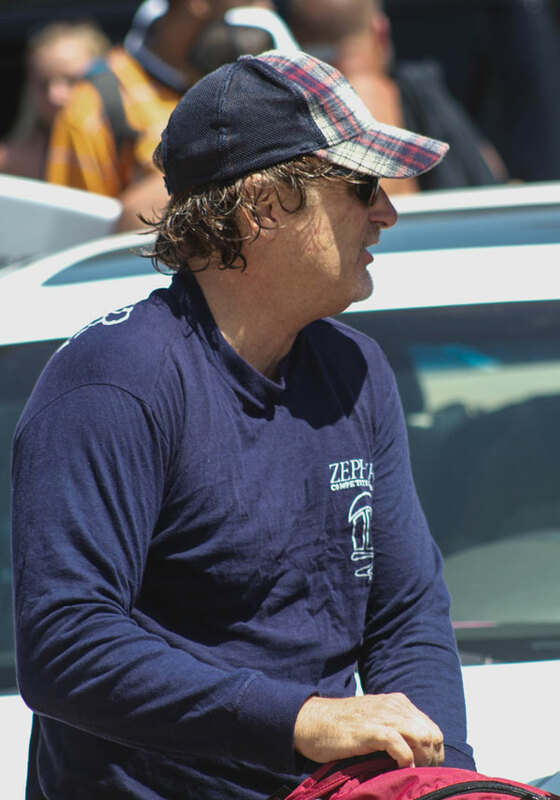 Tents were set up in the area of the beach with the pioneering brands in skateboarding as Dogtown, Zephir, the Time Raiders, Z-Flex, Independent Trucks and many others. A gang of Los Angeles LowRider also came with some incremententados vehicles. 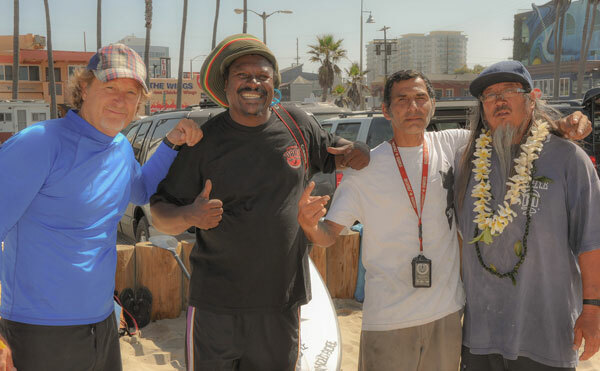 Such an event has served to diamonds and memory alive Jay Adams and gather several generations of skateboarding that socialized, exchanged information, affection, and sadness selfies longer had space and was swept by this wave of solidarity. 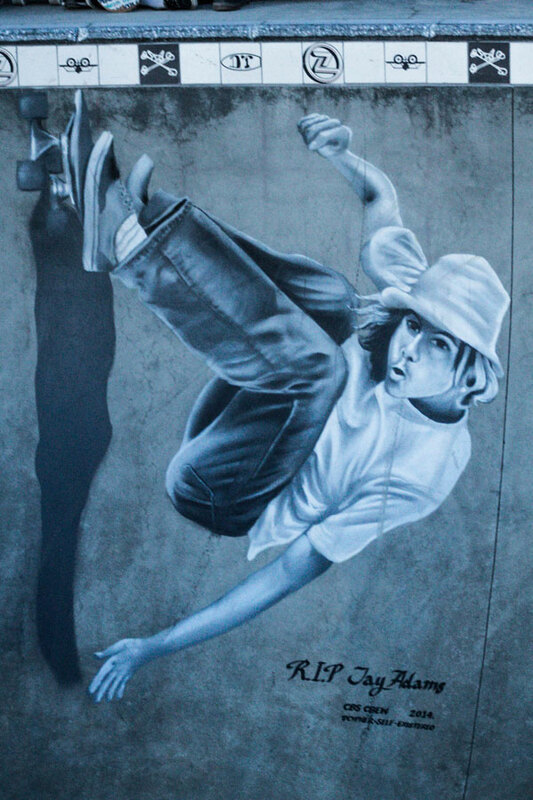 Let’s celebrate the memory of the great master Jay Adams who was without any doubt the most extreme skateboarder who built his story on the underground streets since the beginning of surf and skateboard in Venice Beach. 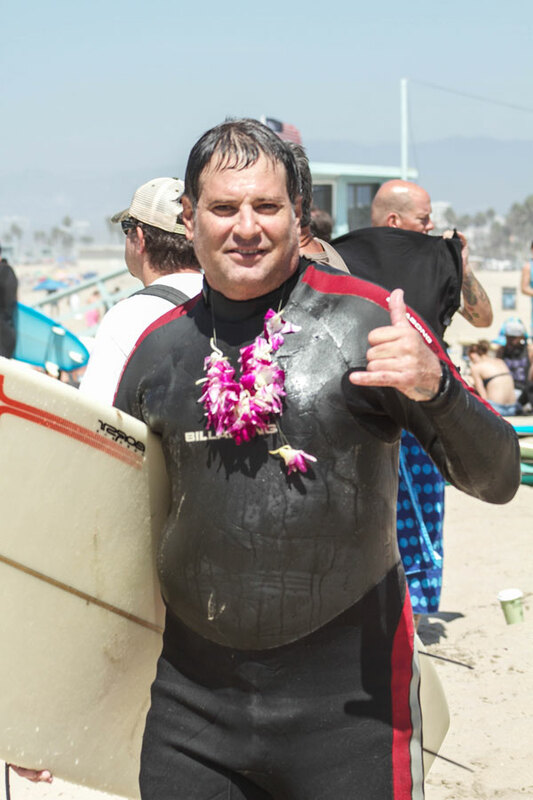 He was the pioneer of punk rock, gangs of LA, as a teacher who had a beautiful and wonderful life in the surf and skate here for so that leaves us with fond memories from time boy until his departure after 53 years. I wish Jay boy where you continue surfing, skateboarding doing sessions with Shogo Kubo endless transitions in the galaxy. 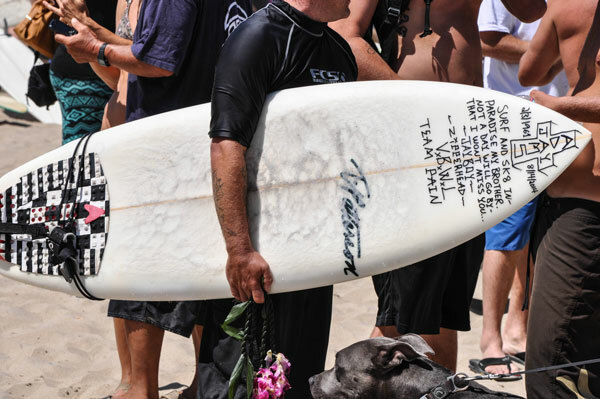 Thank you master for Jay Adams leaves a lessons of character and attitude. One Response to The World Skateboard Thanks Jay Adams! Truly interesting….look forwards to visiting again.